Norfolks' Recreation, Parks and Open Space opened a new dog park, basketball court, and playground at Meadowbrook Park. Recreation, Parks and Open Spaces worked with community members to bring new features to Meadowbrook Park in Norfolk. 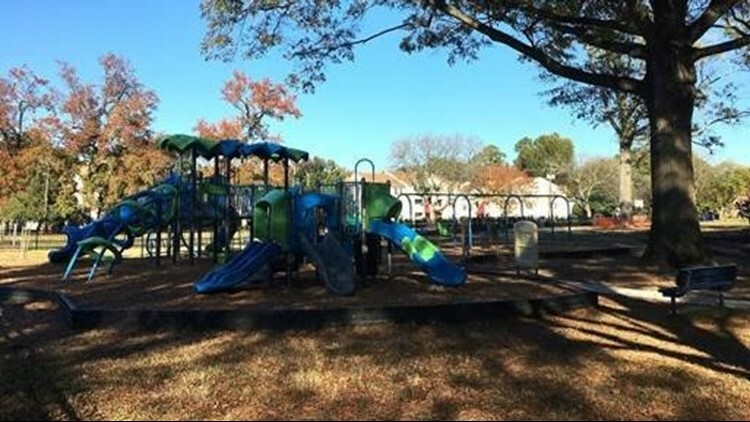 NORFOLK, Va. (WVEC) — Norfolk's Recreation, Parks and Open Spaces worked with community members to bring new features to Meadowbrook Park. Meadowbrook park now has a fenced dog park, a new shaded playground, and a basketball court. Owners can take their small and large dogs off their leashes in the dog park and allow their pets to enjoy the open space. The playground is intended for children ages two through 12 and features slides and climbing areas while the new basketball court is open to people of all ages. "These new additions provide yet another opportunity for our residents, families and dog owners to get out and play," said Darrel Crittendon, Director of Norfolk's Recreation, Parks and Open Spaces. "We appreciate the input of the surrounding community as we completed the park." There will be a ribbon cutting ceremony at the park on December 15 at 11 a.m. The event will be open to the public. For more information, click here.